from 1987 until joining sony in march of 1988 were the toughest days of X. late 80's japanese music scene was dominated by idols, and visual bands like X were merely ignored. they had little earnings and at the same time they had to promote their works to the public. sometimes, they were so broke that they had to walk 3-4 km to home and eat two cup noddles for 5 of them. during those harsh days, hide found his true friends and managed to strive through that period. signing with Sony in 1988 was a turning point for X. they were supported financially and they quickly gained popularity. their major releases in 1989, including "Blue Blood" and "Endless Rain", were unexpectedly popular. however, lack of coordination among members seems to be an universal problem among all rock bands. bassist taiji left the band on 92.1.31, who was replaced by heath. 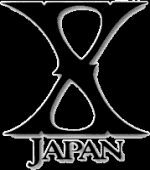 in august of 1992, yoshiki suggested to change the name from X to "X Japan", aiming at international market. Although hide accepted the new name, but he thought X was not yet strong enough to expand out of japan. X Japan boomed in the 90s and gained its position as one of the legendary rock bands in japan. however, disagreement among members seemed to grow deeper and deeper. members focused on solo works instead of X Japan. finally, tragic news broke out on 97.9.22: X Japan was disbanded. the claimed reason was that toshi felt like he was treated unfairly; however, this may be just an example of their very disagreement. after X Japan, hide focused on solo works. he wrote music and lryics for himself, and sang his songs with his unique voice. on 96.5.22, hide opened his production company "LEMONed", which aimed at bringing up new potential rock bands and gathering fans of hide. before his death, hide was focussing on two bands, namely, "hide with Spread Beaver" and "Zilch".